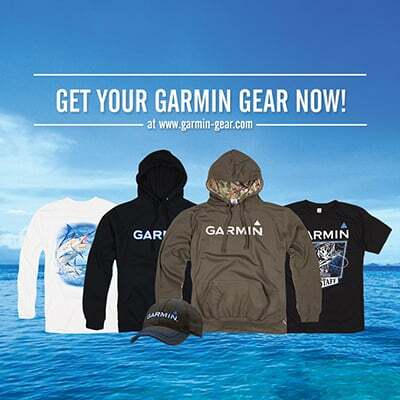 Garmin brings an advanced marine technology once only available to commercial boats to the boating public in a complete package designed for powerboats and sailboats. The GHP Reactor autopilot series is simply the most responsive autopilot system we have ever offered. Experience the ultimate hydraulic autopilot performance when paired with the one-size-fits-most, high reliability, brushless SmartPump. With its advanced solid-state 9-axis solid-state 9-axis Attitude Heading Reference System (AHRS), you are able to mount the GHP Reactor nearly anywhere, in any orientation. In addition, this new system greatly minimizes heading error, course deviation, rudder movement, and power consumption, while providing a comfortable ride for all onboard. You have full control of GHP Reactor from the chartplotter display. Combined with a compatible Garmin networked chartplotter and BlueChart® g2 Vision® charts, you can enjoy optional features like Auto Guidance, which automatically steers GPS paths. The GHP Reactor with SmartPump puts an end to guessing which pump size will work with your particular boat. One SmartPump works for most boats. You know you have the right pump for your boat for optimum control and confidence. Plus, you get complete control in a smaller size with better thermal performance, higher reliability and lower power consumption. It also includes color-coded connectors to make it very easy to install. Pretty smart. The GHP Reactor with SmartPump automatically adjusts the maximum flow rate for a particular boat from 0 to 2.4 L per minute. Because the GHP Reactor with SmartPump uses a brushless motor, there is no direct electrical connection between the drive circuit and the rotor. This provides for increased reliability, longer pump life, reduced power consumption, quiet operation, a smaller package, improved thermal performance and higher efficiency. 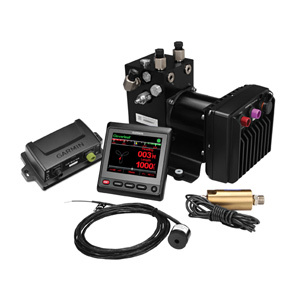 The GHP Reactor with SmartPump is a complete autopilot package. SmartPump is one integrated unit comprised of a motor drive circuit with the pump in a single assembly. Equipped with Intelligent Rudder Rate Technology (IRRT), it actually slows the rudder rate when the vessel is at high speeds and speeds up rudder rate when the vessel is at lower speeds to provide optimal performance and safety in all conditions. The brushless motor drive eliminates the risk of rudder hard over due to hardware or software failures. Boating environments are harsh, especially on saltwater. So the Garmin SmartPump is protected from the elements. SmartPump is engineered from corrosion-resistant components, including anodized aluminum and nickel-plated steel parts. With a GHP Reactor with SmartPump aboard your boat, you can have control wherever you are on the boat. In addition to holding its course in virtually all weather and wind conditions, the system can smoothly perform a variety of pre-programmed trolling and search procedures. Plus, with a compatible Garmin networked chartplotter and BlueChart g2 Vision charts (sold separately), you gain optional features like Auto Guidance, which automatically steers GPS paths. The GHP Reactor with SmartPump features patented Shadow Drive technology. This gives you the security of knowing you maintain control even when the autopilot is engaged. The Shadow Drive system automatically disengages the autopilot if the helm is turned, giving you the freedom to maneuver the boat. The autopilot automatically re-engages when you hold a steady course. The GHP Reactor Autopilot with SmartPump for hydraulically steered boats is operated using up to 3 GHC™ helm control units. The GHC communicates with the autopilot system via your NMEA 2000® network, so autopilot-heading data can be shared easily with other devices. This enables MARPA and chart overlay when connected to a Garmin chartplotter. An optional handheld wireless remote control is also available; however, for the highest level of convenience, control the GHC using quatix®, the world’s first marine GPS navigation watch featuring ANT+® wireless technology. Add an optional GRF™ 10 rudder feedback sensor and you can further enhance the performance of your GHP Reactor autopilot with SmartPump.